Tourists visiting Lei Yue Mun are exposed to human excrement and restaurant waste flowing through open drains while on their way to a seafood meal. The e-coli content of the seawater and typhoon shelter exceeds the statutory limit for keeping live seafood served to restaurant patrons. The Tourism Commission plans to attract more tourists to Lei Yue Mun without first fixing the sewerage. Click here to use our on-line objection form before 9 December 2009. The Tourism Commission wants to reclaim 800 square meters in the Harbour and spend HK$210m on a new pier to attract visitors to Lei Yue Mun. Designing Hong Kong Limited objects – the first priority should be to fix the toilets! 10 years, over HK$200million, and no plan to fix the toilets! Restaurant operators in Lei Yue Mun have long noticed that they are losing their attraction as a seafood dining destination. In response, the Tourism Commission is promoting a HK$210m new public landing, breakwater, promenade, look-out points and landscaping to facilitate access by sea. The new landing is expected to attract 11,000 tourists per month for a seafood meal, and up to 14,000 during the peak season. This compares to the existing monthly visitation of about 1,500 tourists. Lei Yue Mun residents also want to place a Tin Hau Goddess Statue on Oyster Shell Beach to attract the attention of cruise ship passengers. The two projects are pushed by the District Officer and District Council and Legislative Council representatives (votes! ), including Chan Kam-lam and Fred Li. They should have told the Lei Yue Mun villagers to clean up their act in stead. Lei Yue Mun is a disgusting dump. Access is not Lei Yue Mun’s problem: The Yau Tong MTR opened in 2002, only a short walk away. New residential developments have been going up in Lei Yue Mun and neighbouring Yau Tong. But this did not stop the decline. With competition from Sai Kung, Aberdeen, Lamma, harbour dining cruises, Soho East (Ling Kei Wan) and the future West Kowloon Cultural District – revitalizing Lei Yue Mun as a competitive attraction requires more than a new pier or a helping hand from the Tin Hau Goddess. Lei Yue Mun has no sewerage system. Ramshackle huts, garbage heaps, rusting fences, and most atrocious of all - there is no sewerage! All sewage and waste is discharged through storm drains directly into the surrounding waters. A decade into ‘enhancing Lei Yue Mun’, the Tourism Commission has built a Chinese style monument at the entrance to the village, repaved a footpath and added road signs, and now plans to add a new pier to bring more tourists. However, the Tourism Commission has made no attempt to resolve the essential sewage and hygiene problems. Click here to tell them to do so! 1. The seawater and typhoon shelter are highly polluted. The e. coli content exceeds the statutory limit and operators use it for keeping their live seafood which is served to restaurant patrons. Click here to stop it. 2. Attracting more visitors – an estimated 1,000% increase in tourists - and related increase in employment without first fixing the sewerage will aggravate the pollution and hygiene problems. Click here to fix the toilets first. 3. Exposing tourists to human excrement and restaurant waste flowing through open drains while on their way to a seafood meal is in conflict with the 'quality' image Hong Kong is pursuing under its tourism strategies. Click here to protect HK's image. 4. The Tin Hau Godess statue will cover Oyster Shell Beach, the last remaining beach in eastern Victoria Harbour, and hide the Lei Yue Mun lighthouse and rocky outcrop from view. Click here to protect our heritage. 5. 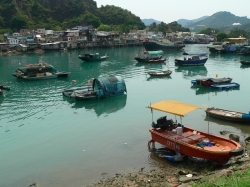 Within one kilometer of the new landing are the underutilized the Sam Ka Tsuen Pier, the existing village jetty (which needs repairs) and several berthings in the typhoon shelter. The 800 square meters of reclamation and HK$210m of funds are a waste of public resources. Click here to stop reclamation and waste of public funds. 6. The foundation of the footpath to the Tin Hau Temple is unsafe. It consists of rubble and sections have collapsed over time. This lack of a solid seawall also means the village is without flood protection. Click here to protect visitors. 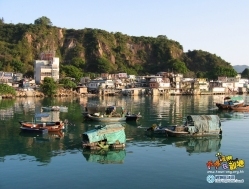 The tasks required to make Lei Yue Mun a preferred seafood dining experience for residents and tourists have been identified in the ‘Study on Village Improvement of Lei Yue Mun Area’ commissioned by Planning Department in 1999 and completed in 2002. Essential engineering includes foul sewerage and a seawall as the top priority. The Tourism Commission does not have the expertise to resolve the technical, land status and space constraints. Lei Yue Mun will remain a basket case (with a new pier) unless an organization such as the Urban Renewal Authority or the Harbour Unit under the Development Bureau takes over. Click here to take the Tourism Commission off Lei Yue Mun. Designing Hong Kong Limited calls on you to object to the reclamation and rezoning required for proposed landing and to support our proposals for comprehensive review including fix the toilets first in Lei Yue Mun! Lei Yue Mun consists of an inner harbour (Sam Ka Tsuen Typhoon Shelter) with a ferry pier on the south, Leisure and Cultural Services facilities on the south, west and north, and Lei Yue Mun village on the east. The village runs south and then east (Ma San Tsuen) and ends at Lei Yue Mun’s Tin Hau Temple and consists of narrow paths aligned with one or two story shops, restaurants and residential properties. With its proximity to core urban areas and the increase in population in neighbouring districts there is an opportunity to re-instate Lei Yue Mun to its former glory as a seafood-dining experience for residents and tourists. A sustainable plan must be drawn up for the village and the typhoon shelter as a whole – as one quality visitor experience. 9. Without a seawall there is no flood protection and the footpath built on rubble mounds along the shore is prone to collapsing. There is no foul sewerage within Lei Yue Mun Village except on a short section of the Lei Yue Mun Praya Road. The great majority of the village is unsewered. Sewage and waste water from the village residential premises and restaurants are discharged to the sea and typhoon shelter direct and through (open) rain water drains. 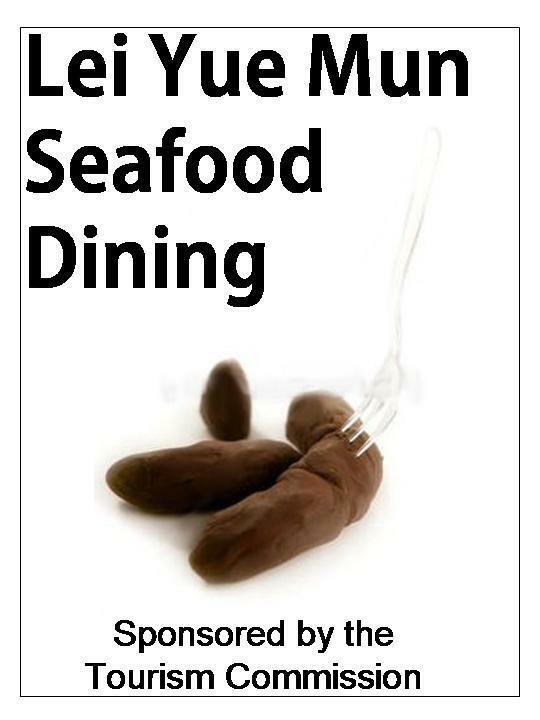 The result is unhygienic, unsightly and unbecoming of a seafood dining destination. Irrespective of the technical and space constraints, the sewerage must be fixed as a matter of priority. - Appoint a local ‘harbour master’ paid from mooring fees, to ensure the typhoon shelter is managed flexibly and appropriately. The Ferry Pier is a simple but interesting structure which can be enhanced with minor renovations. The pier can be utilized for scheduled and unscheduled public and private marine services, and is only a short walk away from Lei Yue Mun village. The new residential developments and new destinations along the waterfront of Victoria Harbour will further improve patronage. The village jetty is in disrepair. The existing reclaimed areas under the jetty can be used to erect a new jetty for people to fish from, as a general amenity and to accommodate yachts and junks who wish to drop off passengers in the village. Whatever happens, don’t lose the reclaimed area and include this in the OZP. LCSD is upgrading this facility. The fences must be removed to allow for marine supporting uses. Located at the mouth of the Typhoon Shelter and immediate opposite Lei Yue Mun’s restaurants, the site is ideal for the Tin Hau Godess Statue. Shaded seating can be added facing the harbour and the typhoon shelter. This LCSD facility is immediately adjoining the seawalls of the typhoon shelter. The land use and seawall on all sides of the typhoon shelter must be redesigned to facilitate marine supporting services in addition to recreation by the public. 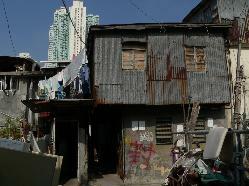 The properties in Lei Yue Mun are mostly one and two story temporary structures and generally in poor condition. The land status of Lei Yue Mun Village includes surveyed squatter structures, Survey District private lots and short term tenancies (STT). The private lots are not subject to any user restrictions. The STT uses are specified in the tenancy agreements. Surveyed structures are allowed for uses recorded in the 1982 Freezing Survey. The village layout is poor and unappealing (beyond ‘traditional’) and includes rusting fences, dilapidated structures, trash heaps, and other concerns. These involve both public land and private rights. Although fire safety is addressed with operational contingency plans devised specifically for the characteristics of Lei Yue Mun village, it is unclear whether these can cope with more visitors and employees. A comprehensive review is required by all relevant departments including Lands and Building Departments and the local district office, to ensure the village safety and appearance are addressed when the sewerage is fixed. Oyster Shell Beach is the last remaining beach in eastern Victoria Harbour and should be preserved (and NOT be covered with a platform for the Tin Hau Godess statue). A full clean up is required including removal of foundations of previous illegal structures. Oyster Shell Beach must be recognized as a (closed) Bathing Beach on the Outline Zoning Plan and included in the daily beat of FEHD contractors. More stringent control over contractors by FEHD staff may be required. The Lei Yue Mun lighthouse has a long history and is a popular destination for sightseeing. Kids can be seen climbing the rocks regularly. The lighthouse and the rocks are an interesting visual feature for visitors. The lighthouse can be fixed or replaced, graffiti can be removed from the rock base and broken structures and remains of illegal works can be removed. Both the lighthouse and the rocky outcrop must be included in the OZP. The Lei Yue Mun Tin Hau Temple can be enhanced and operated with opening hours suitable for tourists. An all-weather cover in front of the temple can be designed to accommodate staff, residents and visitors. The walk to the temple is one of the attractions of Lei Yue Mun. Most international tourists will have little experience with public refuse collection points in the middle of village areas. Special attention must be given to the design and location of the RCPs in Lei Yue Mun, beyond standard solutions. The proposed Tin Hau Goddess Statue adds an appropriate additional visual impression for visitors and promotes greater prosperity for locals. It is a suitable feature of the revitalization plan for Lei Yue Mun. However, sacrificing Oyster Shell Beach, the last remaining beach and limiting the view of the existing lighthouse on its rocky outcrop is unacceptable. Options for the size and location of the statue must be considered and finalized. 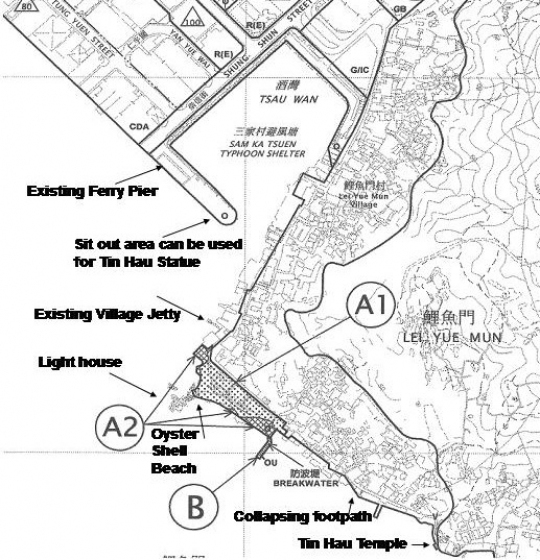 The proposed look-out points in the village, the rest garden immediately adjacent to Oyster Shell Beach or – recommended - the Lei Yue Mun Typhoon Shelter Breakwater Sitting-Out Area are appropriate options. Irrespective of the final location of the Statue, the responsibility for the maintenance must be clarified. Reference is made to Repulse Bay where statues erected by a non government organization in Repulse Bay are now in disrepair, unsightly and possibly dangerous. The improvement works for footpaths and look-out points in Lei Yue Mun are welcome investments. 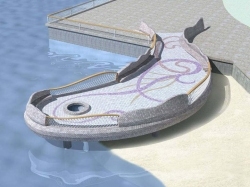 The proposal for a protruding carp-shaped viewing platform have been criticized by members of the Harbourfront Enhancement Committee as they saw no merit in introducing such artificial elements to the area. Revised detailed designs have yet to be seen. The proposed landing and breakwater require 842 square meters reclamation and will affect 6,020 square meters of Lei Yue Mun channel. 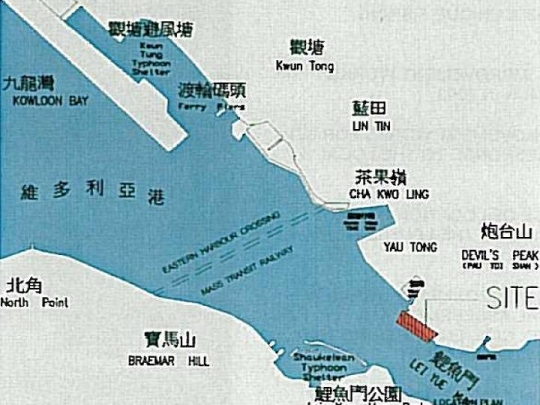 Lei Yue Mun Channel is the wrong location for the public landing: It is located at the back of the village and requires a costly breakwater to mitigate fast currents. Repairing the village jetty requires no new reclamation. Berthing within the typhoon shelter, at the village jetty and along Sam Ka Tsuen Ferry Pier are superior arrival points: These facilities can be made available at little cost. Tourists will then arrive at the front of the village and enjoy a pleasant walk to the restaurant area with an interesting view across the typhoon shelter. Designing Hong Kong Limited submits the following objections and recommendations regarding the draft Cha Kwo Ling, Yau Tong, Lei Yue Mun Outline Zoning Plan no. S/K15/18. By using the existing pier, the jetty and the typhoon shelter, we reduce the cost and the need for reclamation and dredging. The proposed location for the landing is unsuitable as the currents are strong (this is the narrowest part of the harbour) and it is located at the back rather than the front of the village. B. Extend the OZP to include the rocky outcrop and lighthouse. The rocks and the lighthouse are an important part of Lei Yue Mun and Lei Yue Mun channel. By including these in the OZP zoned O with ‘Lighthouse’ added to Column 1, or O/U ‘Lighthouse’, the responsibility for care can be more easily assigned. This area is identified as a look out point to be enhanced under the tourism project. The village jetty and adjacent open space should be included in the OZP and zoned O and/or O/U ‘Jetty’. This last remaining beach in the eastern part of Victoria Harbour must be safeguarded irrespective of how long it may take before anyone can swim. In line with the closed beaches in the western part of Victoria Harbour, the beach must be zoned O, with Bathing Beach in column 1. Amending the approved Outline Zoning Plan S/K15/17 should be deferred until there is a comprehensive plan for improving the environmental and hygienic conditions of the Lei Yu Mun area which effectively utilizes public funds while ensuring public safety. The present plan by the Tourism Commission is short-sighted, piece-meal and narrowly focused. It falls short of meeting the objective of enhancing the area as a tourist destination. If the plan is allowed to proceed, public money will be spent on cosmetic improvements without addressing the fundamental issues which are essential for the sustained development of the area. Furthermore, amendments proposed in the draft OZP numbered S/K15/18 may increase the cost of fixing the sewerage system and other essential improvements identified in The Study on Village Improvement of Lei Yue Mun Area commissioned by Planning Department in 1999 and completed in 2002. As a community concern organization and in the interest of the public and visitors of Lei Yue Mun for the reasons set out above, Designing Hong Kong Limited objects to the reclamation and the proposed Public Works Programme no. 3409RO set out in the gazette notice 6606 dated 23 October 2009. The Administration is planning to seek support from the Legislative Council for funding the Lei Yue Mun Waterfront Enhancement Project. As a community concern organization Designing Hong Kong Limited urges the Legislative Council to object for the reasons set out above. The Central and East Kowloon Development Statement (CEKDS) proposed that Lei Yue Mun be retained for village development. Tourism Commission (TC) has implemented Tourist District Enhancement Programmes in key tourist spots. TC completed a number of minor improvement works in 2003 to enhance the streetscape and tourist facilities of Lei Yue Mun as a destination for visitors and local residents. Yau Tong MTR station opened a short walk away from Lei Yue Mun. The Harbourfront Enhancement Committee, Kwun Tong District Council, Lei Yue Mun residents and Government officials visited Lei Yue Mun. During the tour, the visitors had to step over open storm drains filled with human excrement. They also witnessed the discharge of waste water from restaurants into the typhoon shelter. 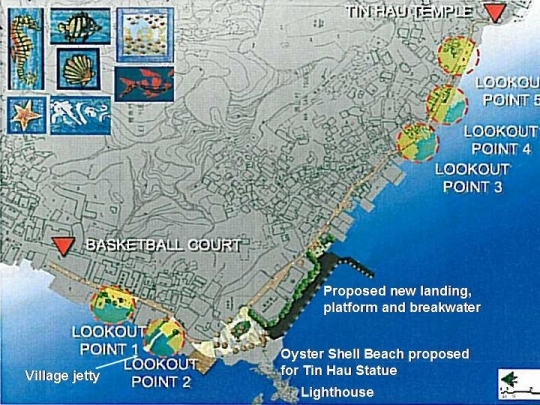 During the meeting the residents attempted (but failed) to convince the Harbourfront Enhancement Committee to support use of the beach for a Tin Hau Goddess Statue. August 2009 In an email to the Harbourfront Enhancement Committee it was confirmed by the Environmental Protection Department that there is no foul sewerage within the Lei Yue Mun Village except on a short section of Lei Yue Mun Praya Road. The great majority of the village is unsewered. Sewage or wastewater generated from the village premises are discharged direct to sea through rain water drain pipes. The public toilet within the village is using a septic tank and soak-away pit which is periodically cleaned and solid content is removed from the septic tank by the FEHD. If you prefer not to receive our e-news or change your email address, please reply to info@designinghongkong.com marked “unsubscribe” or "change email" and we will update our record accordingly.